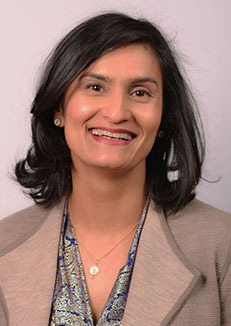 Harpreet Peleg serves as the Chief Financial Officer for Building America and the Controller for the AFL-CIO Housing Investment Trust (“Trust”), a $6 billion Registered Investment Company focused on investing in high-credit quality multifamily securities. Ms. Peleg is responsible for accounting operations, financial reporting, budgeting and analysis for Building America and the Trust. She also handles technical accounting matters and the annual audit of each entity and subsidiaries. In addition, as the Chief Financial Officer of Building America, Ms. Peleg assists with structuring transactions, financial modeling, and tracking projects through the compliance period of seven years. Ms. Peleg is a member of senior management committees and leads the Pricing Team for the Valuation Committee of the Trust. Ms. Peleg's experience includes a Senior Associate position with PricewaterhouseCoopers, where she provided audit and due diligence services to a variety of Investment Services clients. Ms. Peleg was also a Financial Analyst at Goldman Sachs responsible for global financial and management reporting. Most recently, she served as Chief Financial Officer of the AFL-CIO Investment Trust Corporation. Ms. Peleg has a Bachelor of Science degree in Accounting from Rutgers College and held a Certified Public Accountant certificate through the State of New York. Ms. Peleg also holds the CFA Institute’s Chartered Financial Analyst designation and is a member of CFA Institute and the CFA Society of Washington, DC.